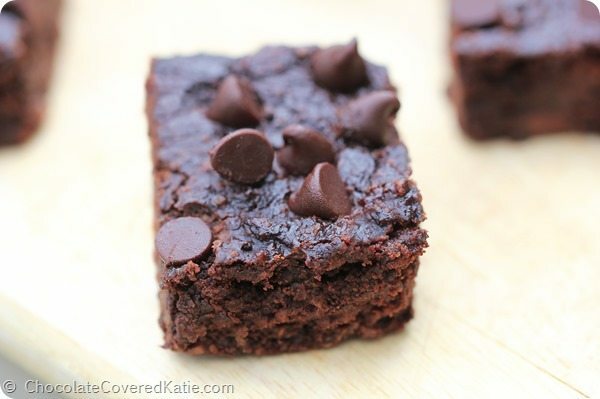 Home » Black Bean Brownies – No Flour Required! 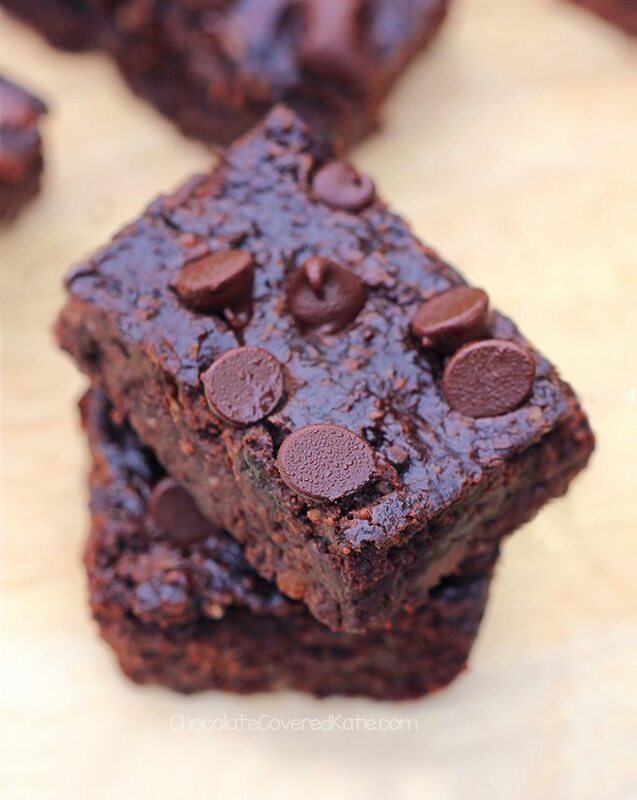 Black Bean Brownies – the ultra fudgy and decadent chocolate treat. After more than a year in the works, my NEW cookbook is finally available! 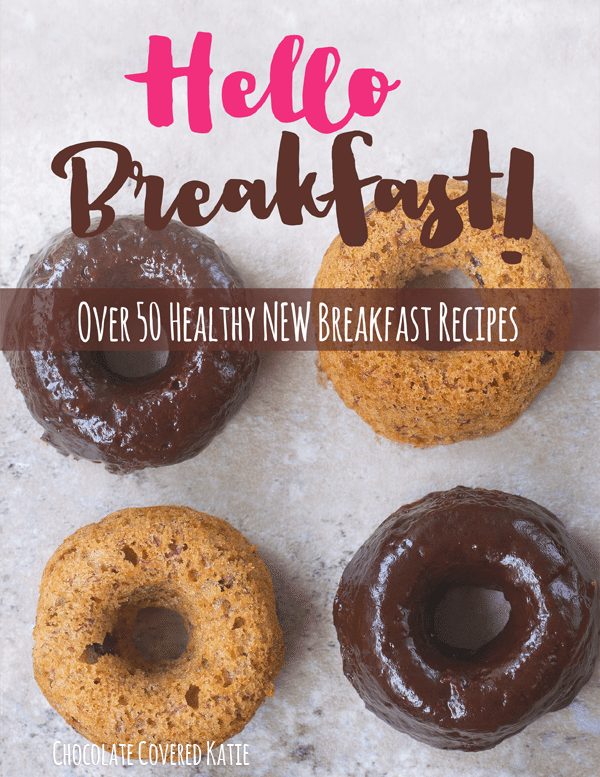 Based on your feedback, every single recipe in the book comes with complete nutrition facts including calories, total fat, carbohydrates, protein, and Weight Watchers points. But what if the deep, dark, rich, chocolate brownie is the healthy brownie? No, not in a dream world. 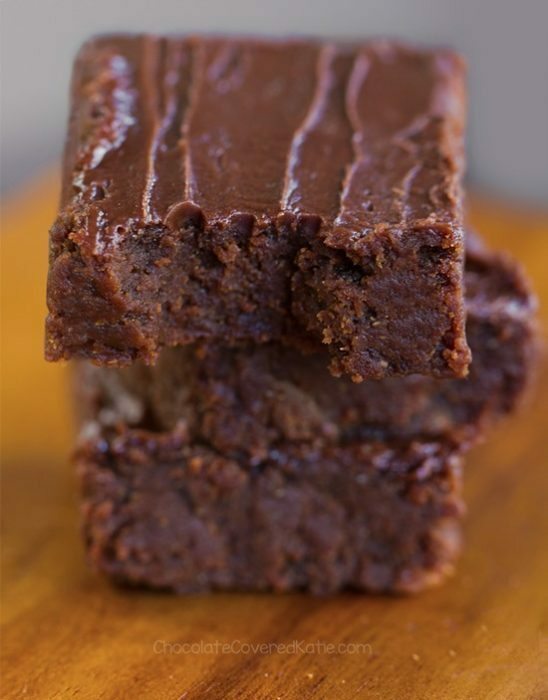 These black bean brownies are healthy brownies that DO NOT taste healthy, and I can say that with assurance, as they’ve been tested on three different groups of people used to “normal” desserts. For the ultimate test, my roommate brought two pans of the vegan black bean brownies into work and set them down on the table without revealing the secret or saying they were healthy. 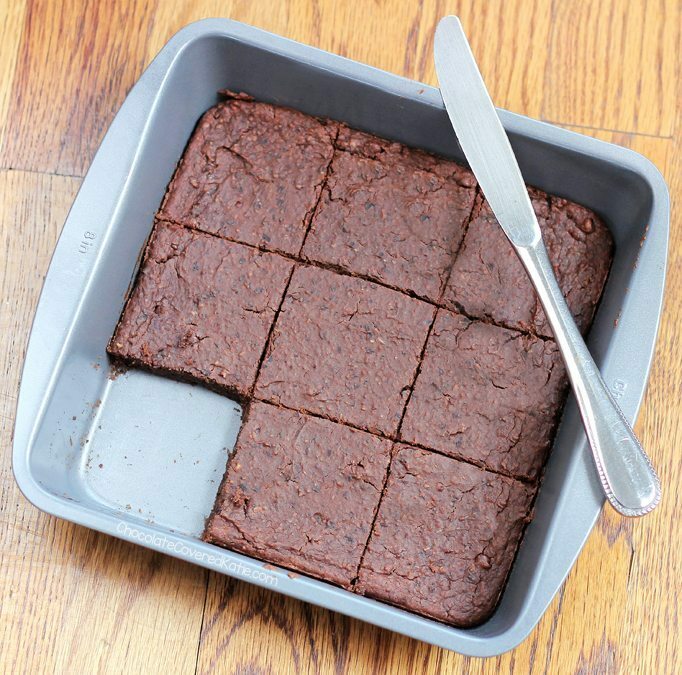 She came home with no brownies left… but with five requests for the healthy black bean brownie recipe! I’ve tried some awful black bean brownie recipes in the past, too. For example? 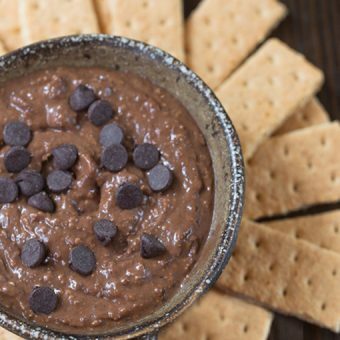 Don’t think you’ll get brownies by adding cocoa powder to my Healthy Cookie Dough Dip and baking it. Trust me. You’ll get cardboard. I wanted a recipe that would not let people down; a recipe that could stand up to a regular sugar-and-flour brownie in a competition. Also, huge thanks to everyone who’s been sharing these on Instagram! If you try the brownies, be sure to rate the recipe here, or tag @ChocolateCoveredKatie on Instagram so I can see and like your pictures! 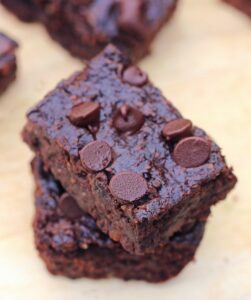 Black Bean Brownies Recipe: Preheat oven to 350 F. Combine all ingredients except chips in a good food processor, and blend until completely smooth. Really blend well. (A blender can work if you absolutely must, but the texture—and even the taste—will be much better in a food processor. I use this food processor.) Stir in the chips, then pour into a greased 8×8 pan. Optional: sprinkle extra chocolate chips over the top. Cook the black bean brownies 15-18 minutes, then let cool at least 10 minutes before trying to cut. If they still look a bit undercooked, you can place them in the fridge overnight and they will magically firm up! Makes 9-12 brownies. If you make this recipe, don’t forget to leave a review! The trick with these: serve them first, and then reveal the secret ingredient. In all the times I’ve served bean desserts, not one single person who didn’t know beforehand has ever guessed! I have tried black bean brownies before and enjoyed them. I have a question about coconut oil; does it give the baked goods a coconut flavor? Nope, it does not. Can’t really taste it much at all. If you are sensitive to coconut taste, yes, it might. I’m not a coconut “fan” but I don’t dislike it, and sometimes coconut oil can break (or make I suppose!) some things for me. I’m not a chemist, so I i don’t know if this is an unsound/un-tasty option, but maybe you could try half coconut oil, half vegetable and see how your taste buds react…? Sorry got cut off.. Some brands have more coconut flavor than others. I think it depends on the brand of coconut oil. I think Spectrum does not really have a coconut taste, but the one from Trader Joe’s does. No not at all! It’s just a lighter cooking “filament” that is better and cleaner than other oils. It’s lighter than Vegetable oil and of course with this type of cooking you do NOT want to use canola or lard. Not the right properties. 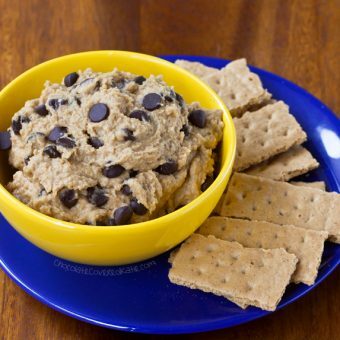 It’s an excellent recipe and I’m Type II Diabetic and with no flour (white carbs) or sugar it’s perfect for Diabetics! I’ve tried several times to upload a picture of them in the pan but THIS SITE WON’T LET IT UPLOAD! HELLO! Wow! Black beans in brownies? I have to try these. I won’t tell my kids what is in it until after they eat them. I made these brownies and they turned out awesome! It was nice to eat a brownie and not feel guilty about eating it. I was really surprised as to how good the taste was and I would have never known that there were beans in it if I didn’t make it myself. 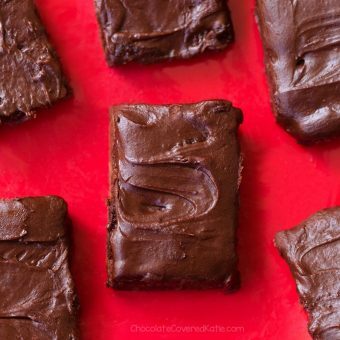 These brownies sure do satisfy your cravings for chocolate. It was also hard just to eat just one. It’s really surprisingly delicious. 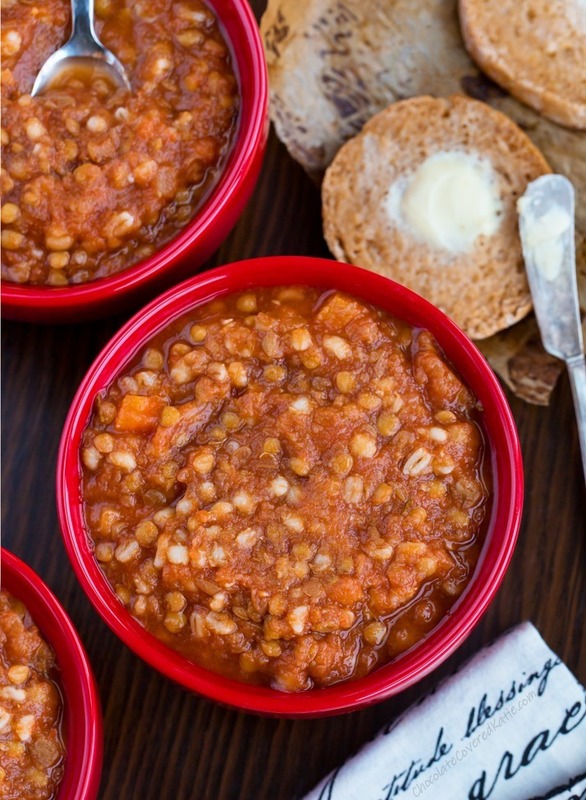 I tweaked my batch with a good handful of chickpeas and it just makes them a bit more “solid” and delish! I love the looks of this recipe!! I definitely want to try it with your addition of oats. I have a really delicious one too. 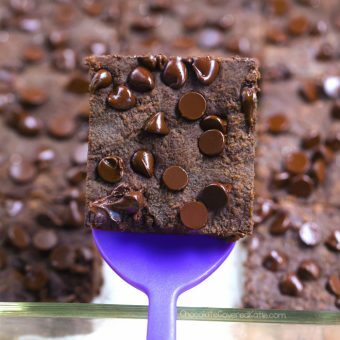 Check it out here http://www.hungryhealthygirl.com/2012/08/22/day-4-back-to-school-snacks-brownies-wiaw/. Thank you! I can’t wait to make these. I’m always looking for fun things to make with my girls. These will be PERFECT to send it to school as a special treat. And seconded on the print option. That would be awesome! Aw, I’ve been waiting for a black bean recipe! 😉 Just have to find some black beans in my town now – guess that might be the hardest part!!! I LOVE your recipes. I haven’t really had time to make any of them, I’ve been doing some research on dairy free recipes because my (almost) 3 year old daughter has recently developed an allergy to dairy products. But I promise to try something out and let you know how it goes, also I need to loose some 20+ pounds so your recipes definitely come in handy. Plus, I own a blog of my own recipes in Spanish (I live in Mexico City), I just started and it is kind of my hobbie but being a mom, plus helping my husband with his consulting company gives me little time to cook often and post more. I was wondering if I have your permission to translate and post some of your recipes on my blog, of course always referring to yours as the original source. Anyway thank you, and BTW I am a little worried that you seem much skinnier in this pic than you did before, are you OK? 🙂 Hope you are. I don’t usually make recipes the day they’re posted, but these were just calling to me, and I had no excuse because I had all the ingredients. OMG new favorite dessert right here. 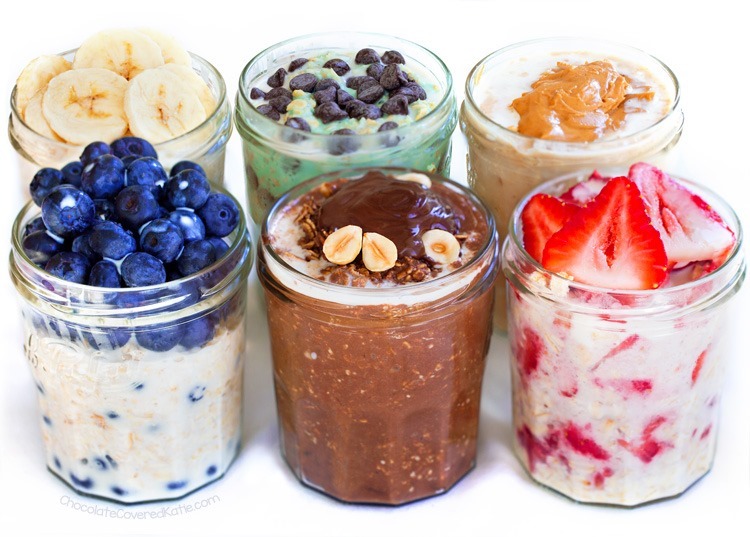 People, run to your kitchens and make these ASAP! Does coconut oil have a subtle taste or will you be able to taste it in baked goods? 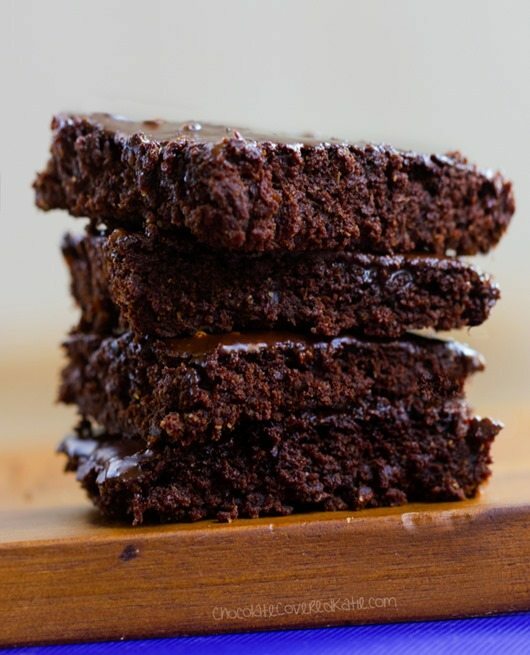 I’m asking because the person I want to make these brownies for isn’t crazy about coconut but if they can’t tell it’s in them I’ll still use it. You really can’t taste it! These look great. I have a question about the coconut oil – should it be melted, or straight from the jar? Always melted, unless a recipe specifically says solid. In this case, melted. I kinda posted this somewhere else in this comment string too, lol, but: If they’re not crazy about coconut, I would be cautious. For instance, I’ll have coconut flakes on a sundae or a couple shreds in a chocolate chip cookie, but not as a cake frosting or a popsicle flavor. 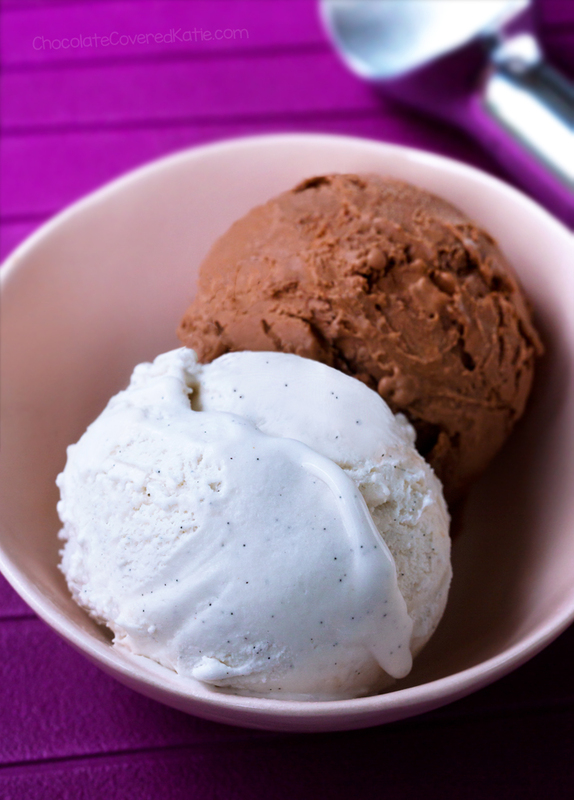 However, with these being chocolate, when I make these I mighttttt take a chance – it’ll probably mask that coconut buttery flavor. If someone doesn’t like the taste of coconut (regular coconut oil will have a slight coconut taste), get the Expeller Pressed, Refined Coconut Oil. There is No coconut taste at all with that one. Also, coconut oil is solid under 76 degrees. Over that, it melts, so if it’s hot where you are then it gets solid, it’s Fine. Does Not need to be refrigerated and it’s really good for you. I have never tried black bean brownies–but I am definitely NOT scared of making them:D Putting “weird” ingredients in desserts has never really intimidated me; after all, there isn’t a “right” way to make desserts–just because they aren’t filled with butter, sugar, and eggs doesn’t mean they aren’t made “the right way.” This recipe looks fantastic, and I will have to try it sometime soon!! I keep seeing black bean brownies all over the internet. I have GOT to try these! I am totally intrigued. I wonder if my boys would eat these. My husband has recently had to go wheat-free, so I’ve been making a version of black bean brownies similar to yours here. They aren’t the same, but good enough that he’s very happy every time I make them! I make sure to warn others before they try them so they aren’t expecting normal brownies. 😉 I’m excited by the blondies recipe, too! I’ll have to try that one next! I am also wheat free…what did you substitute for the oats???? Excited to try. I also have a recipe for black bean cake with rough chopped apples, cinnimon, clove and other spices…but I’m wheat free and don’t know how to substitute the flour. HELP!!! Oats are gluten free, except for sometimes they are crossed contaminated with wheat. You can certified gf oats. Or you can use a smaller amount (like 1/4 c. ) of flax meal or you could use 1 or 2 eggs. (I’m dairy free not vegan) I recommend 1 egg because I have made these twice and the first time they were good, the second time they they were really good but undercooked despite cooking them for longer than the recommended time, I think it’s because I used 2 eggs. I put in a scoop of vanilla garden of life protein powder (about 3 Tbsp) instead of the oats (and left out the vanilla essence) it was delicious! the mixture tasted so good i almost didn’t want to bother cooking it hehe 😉 I also left all the oil out and put in 2 Tbsp applesauce and 2 Tbsp peanut butter instead. About half of us gluten intolerant folks cannot eat gluten free oats without a reaction. Any suggestions on a good substitute? I think I’m about 2 years late on this reply, but I just tried the brownie recipe yesterday with 1/4 cup almond meal and 1/4 cup coconut flour. They were great! At work , people always tell me that my diet must be so boring because im way to healthy. I’ll be taking these babies to work to prove a point.